The much awaited Unni Mukundan starrer Ira released today. The film with a tagline 'story of an accused’, tipped to be a crime thriller marks the directorial debut of Saiju SS, a former associate of director Vysakh of Mohanlal blockbuster Pulimurugan fame. Ira also marks the maiden production venture of Vysakh and writer Udhayakrishna, Vysakh Udhayakrishna Productions. The film also stars Gokul Suresh, Miya George, Niranjana Anoop, Shankar Ramakrishnan, Srikanth Murali and Alencier Ley Lopez. As expected, Ira has opened to a good note at the Kerala Box Office. Though the film started off with 40% occupancy on its opening shows, it has picked considerably from noon shows across the cinemas of Kerala. 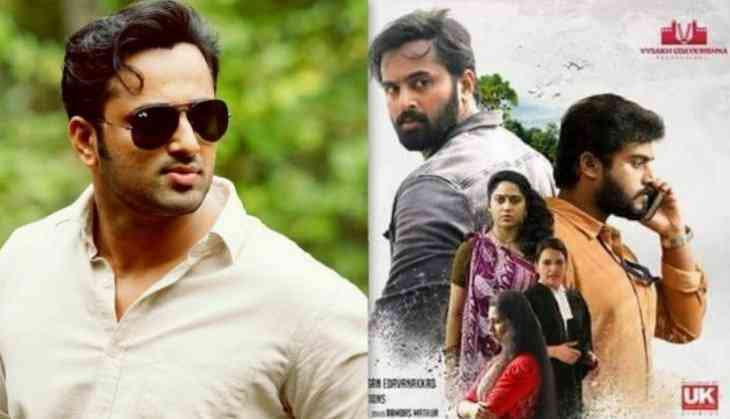 The investigate thriller has been praised for it's gripping story, first rate performances from the lead cast, especially Unni Mukundan, who's said to be given one of his career-best performance in Ira. Gokul Suresh too who's reportedly equally good in the film. However, the main USP of the film is said to be it's climax, which is touted as one of the best climax witnessed in recent Malayalam films. Going by the early positive feedback from the audience and the huge jump in the collections, Ira is all set to record a healthy day one at the Box Office. The film will also be eyeing to become the biggest opener of Unni Mukundan as well.